Faculty and staff are invited to attend Dean Kees de Kluyver’s public presentation for his administrative review on Friday, April 3, from 10 a.m. to 11 a.m. in Room 211 of Lillis Hall. 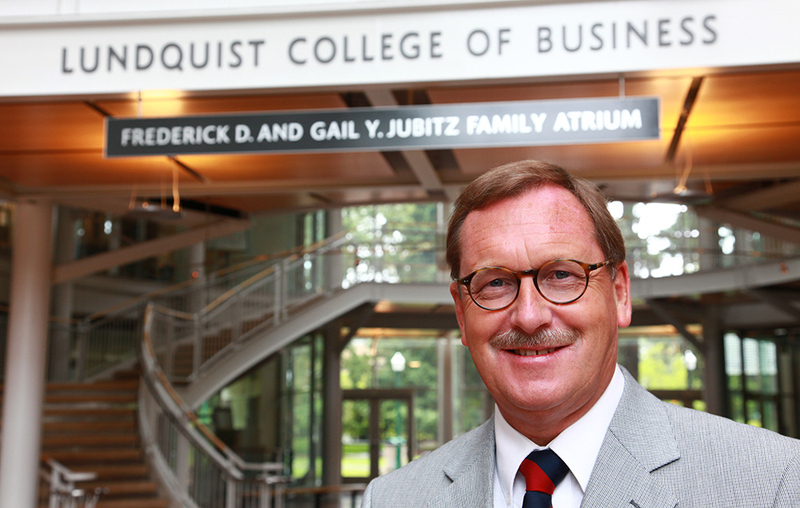 De Kluyver’s presentation will include a retrospective of his first five years as dean of the Lundquist College of Business, as well as a look ahead to the challenges, initiatives and accomplishments he envisions in the coming years. Additional information about the academic administrative review process is available on the provost's website.